If you find yourself tired of city life in Kraków, don’t worry, because the perfect getaway is sitting right on your doorstep, where two days’ rest will get you back on track and re-joining the crowds of the cobbled Rynek Główny re-energised, and more sufficiently awed by the natural beauties of southern Poland than you’ve ever felt before, we promise! Around a two hour drive to the south of Kraków, through the hilly contours of Małopolskie, the city of Zakopane is nestled deep below the sharp peaks of the high Tatras. Over the last half a century it has become Poland’s most coveted ski resort, and is home to a range of different slopes that draw crowds from the first snow fall to the last. While it’s busiest in the winter, in the summer the mountain trails open up and it’s possible to hike a series of routes that can take anything from a couple of hours to several days. The most popular is the day-long hike to the Morskie Oko, or ‘Eye of the Sea’, a deep, azure alpine lake set into the plateau of Mięguszowiecki. Legend has it the lake is connected underground with the Baltic Sea, and the sheer cold of the water goes a long way to convincing most visitors it may just be true. 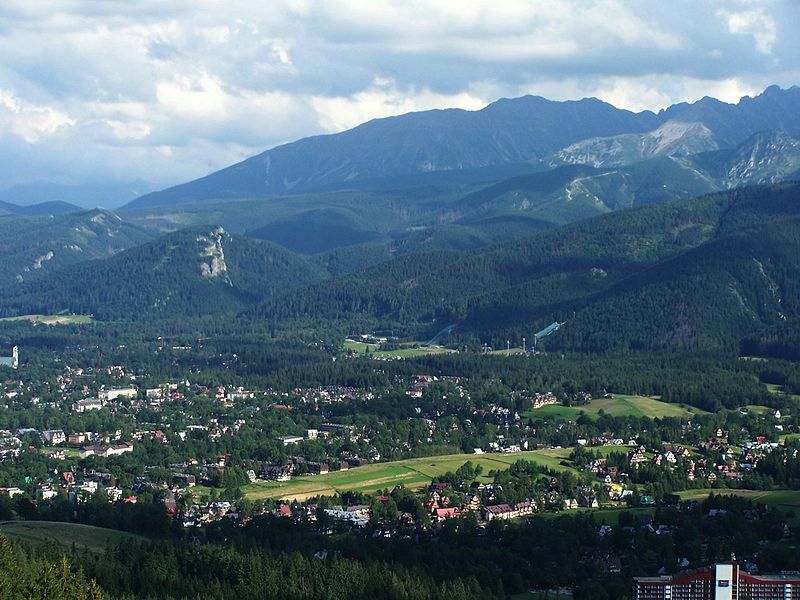 On the far end of town the funicular train that takes visitors to the peak of Mt Gubałówka is the quickest and easiest way to get the breath-taking and panoramas of the area that Zakopane is largely famous for. At the top, the smoky smell of the city’s regional heavy sheep cheeses can be smelled oozing from the wood-clad structure of the restaurant there; the food is great, but the view is superlative. The town’s main drag is Krupowki, where in the winter, a thick and steady stream of ski-slope hunting tourists drifts in and out of the bars at night, all framed by the gnarled, overtly Christmassy street lights that issue a dim illumination onto the snow-clad street. From beginning to end there’s a great selection of bars, gastro-pubs and coffee places, with a dash of hedonistic clubs – in true Polish style. It’s worth a visit in the summer too; when the air clears you can see the Slovakian High Tatras rise in the distance, still snow-capped the year round. Don’t leave town without checking out the meticulously carved wooden architecture that dominates the downtown area. It’s famous throughout Poland, and starkly different from the medieval stone monoliths of Krakow central. 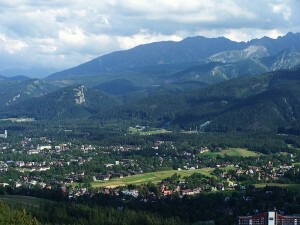 Zakopane is very easy to reach from Kraków and there are a few options available to the would-be visitor. The easiest is to take a bus from the central station. These cost around 20 PLN per person, and leave every half an hour. There are two trains from Kraków Central to Zakopane, one is considerably faster than the other, but neither is as quick as the bus. The train journey is rather scenic, though with a higher ticket price and unpredictable journey times, the bus is always a safer bet. The final option is to take an organised tour from Kraków, which will usually involve a privately run minibus that should pick you up from your accommodation; naturally, this is the most expensive option.